Best known for being a member of girl group Fifth Harmony, Ally Brooke is an American singer who was born on July 7, 1993. 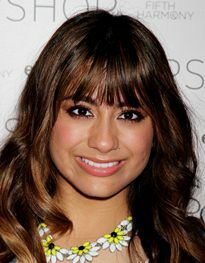 The daughter of Patricia and Jerry Hernandez developed a love for music at a very young age and after working very hard towards her dream of becoming a successful musician, Ally first earned recognition by taking part in the television music competition show The X Factor during 2012.Ally Brooke along with four other members of the group Normani Kordei, Camila Cabello, Lauren Jauregui and Dinah Jane Hansen, performed outstandingly throughout the competition which is why despite finishing at third place in the show, they were signed by Epic Records and Syco Music jointly. After their exit from The X Factor, Fifth Harmony released their debut single “Miss Movin’ On” which was followed by their first EP titled Better Together in 2013. The group released a few more successful singles before finally releasing their debut studio album, Reflection during February 2015 which has garnered huge critical and commercial success. When it comes to the personal life of her, Ally Brooke prefers to keep her matters private which is why not much is known about her relationships. Listed below are complete Fifth Harmony band member Ally Brooke body measurements like her weight, height, hip, waist, bust, bra cup, dress, and shoe size. She is the oldest member of Fifth Harmony. Ally Brooke cites Selena as her biggest musical influence. When it comes to height, Ally is the shortest member of the girl group Fifth Harmony.